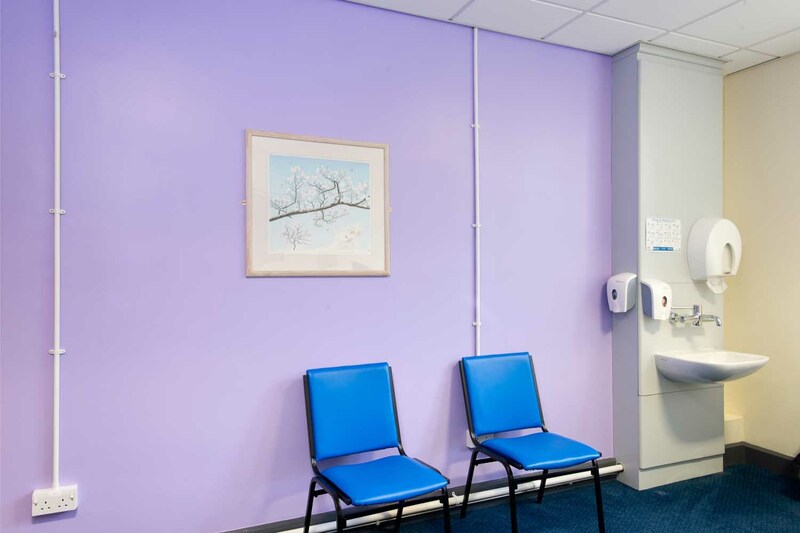 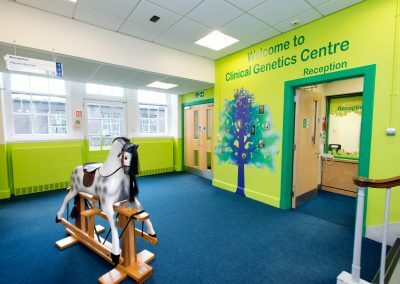 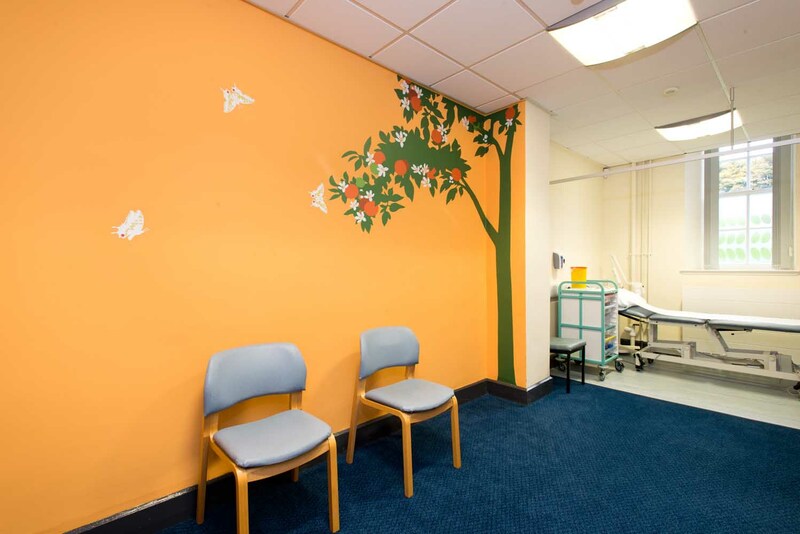 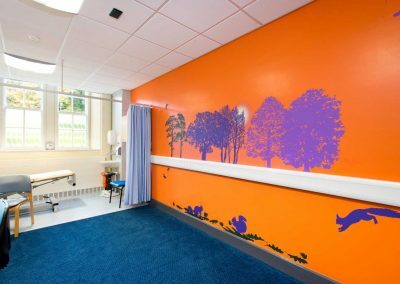 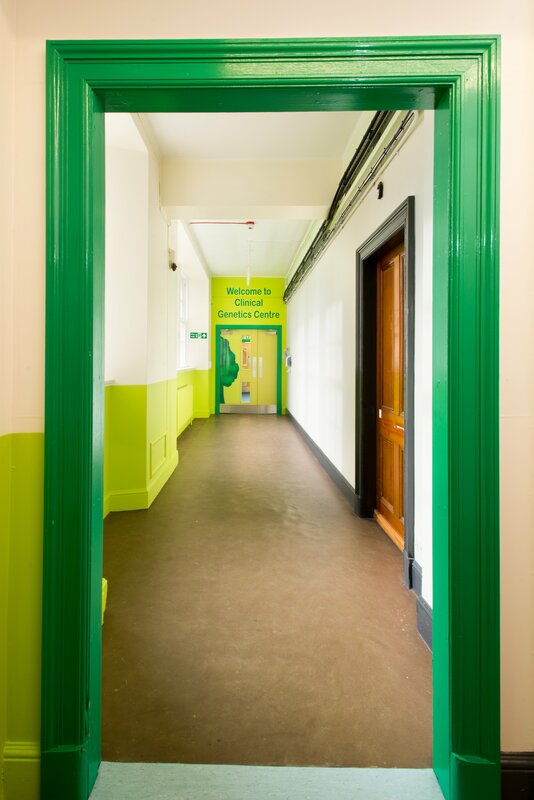 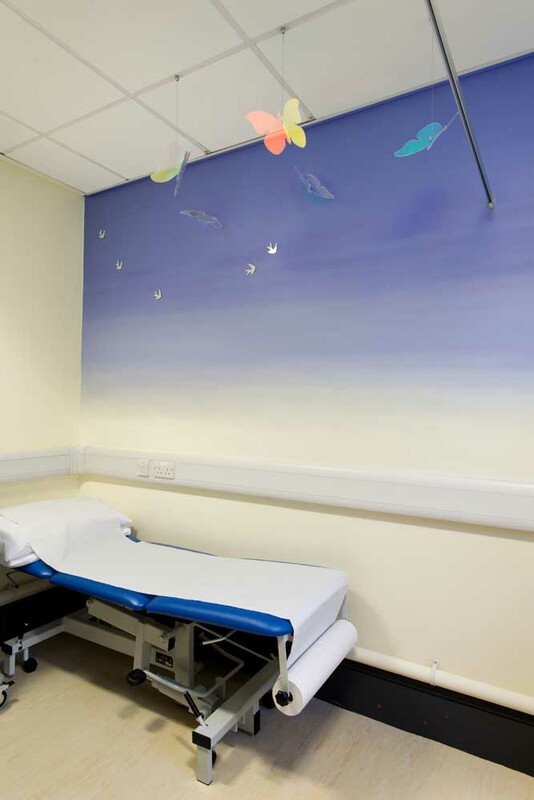 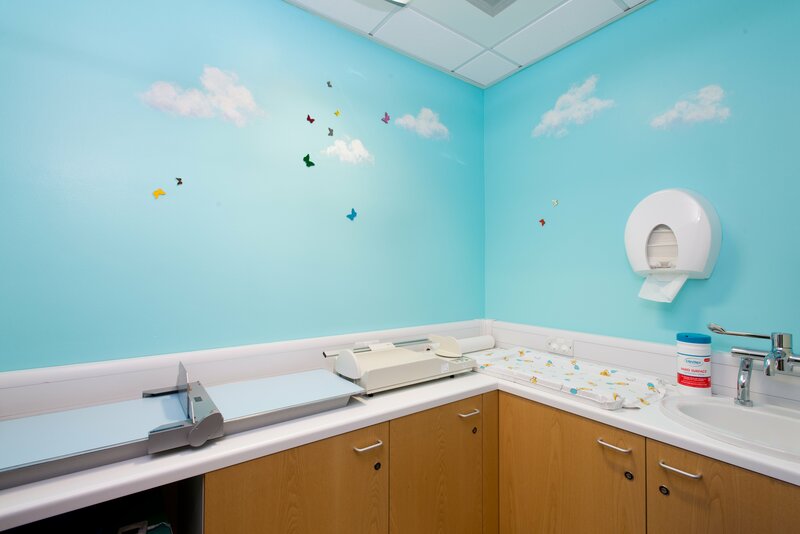 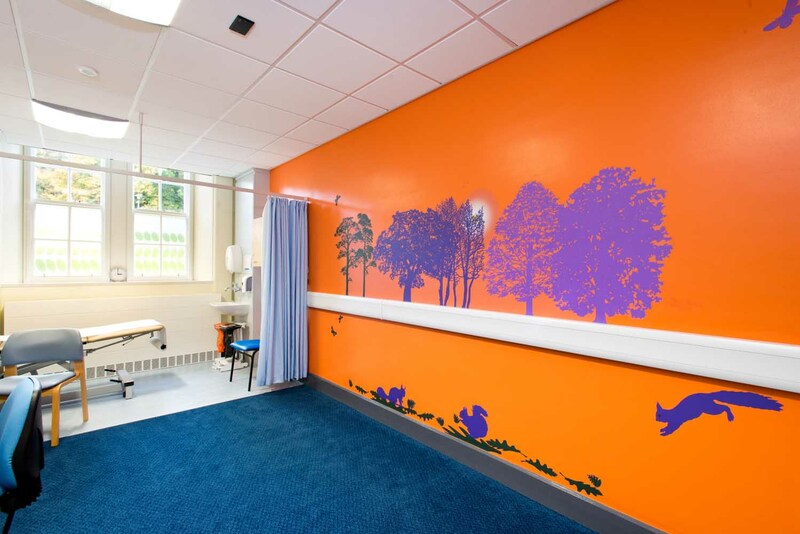 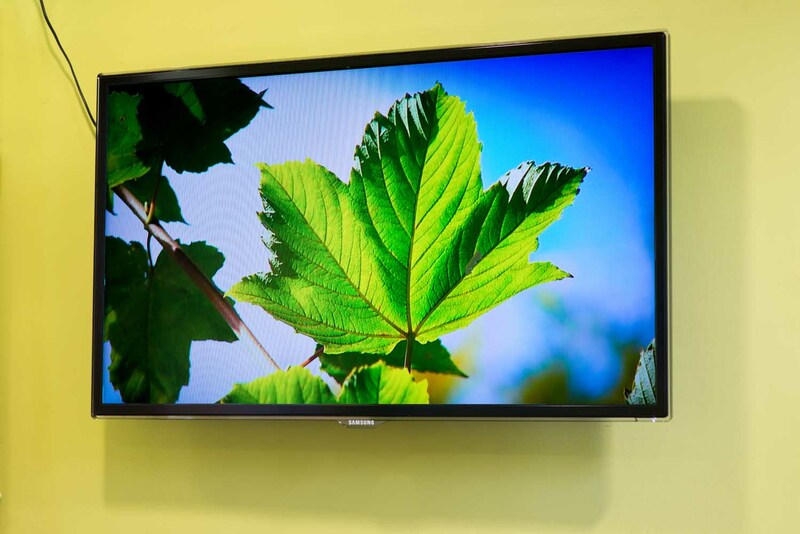 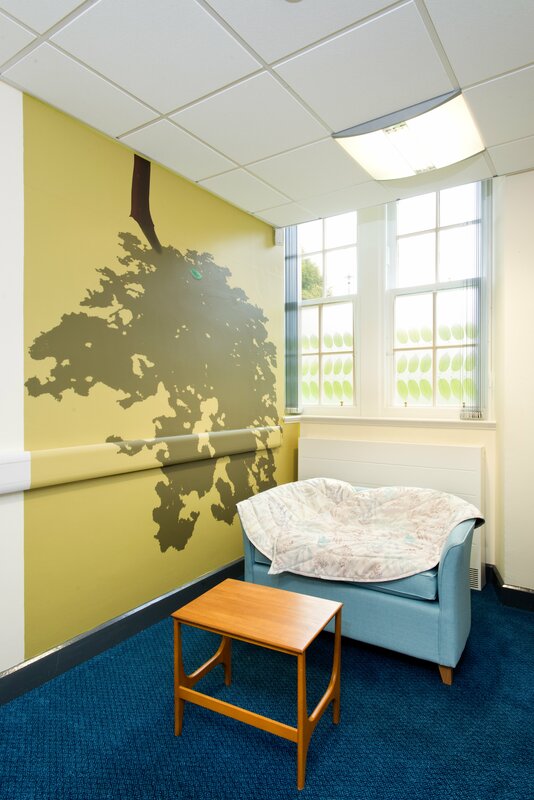 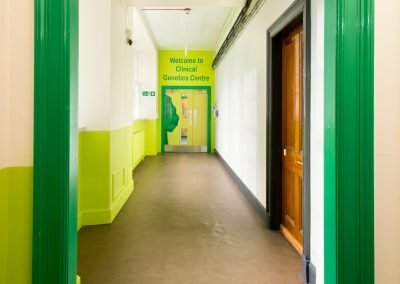 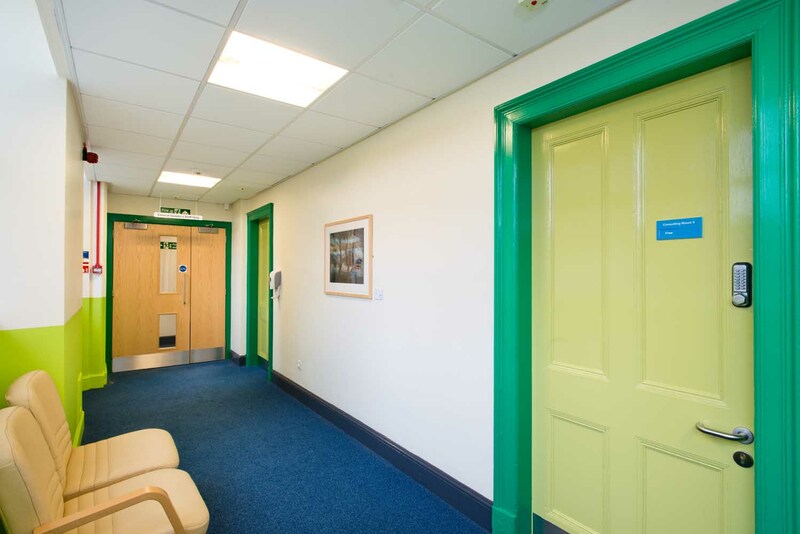 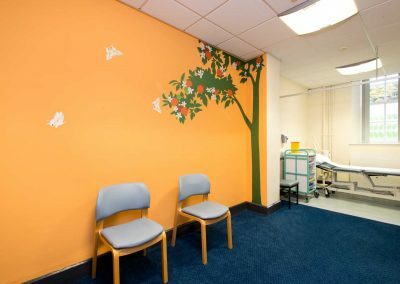 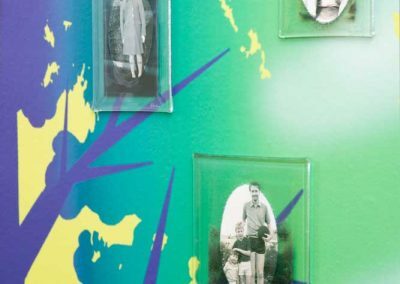 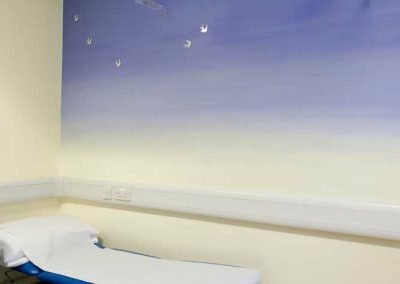 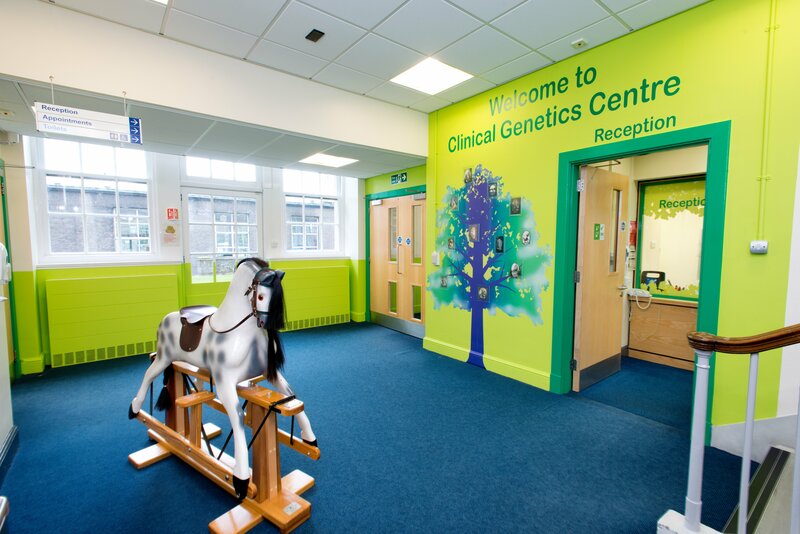 Keiko Mukaide was commissioned to work with staff and patients of the Clinical Genetics Centre to refurbish their department in Ashgrove House. 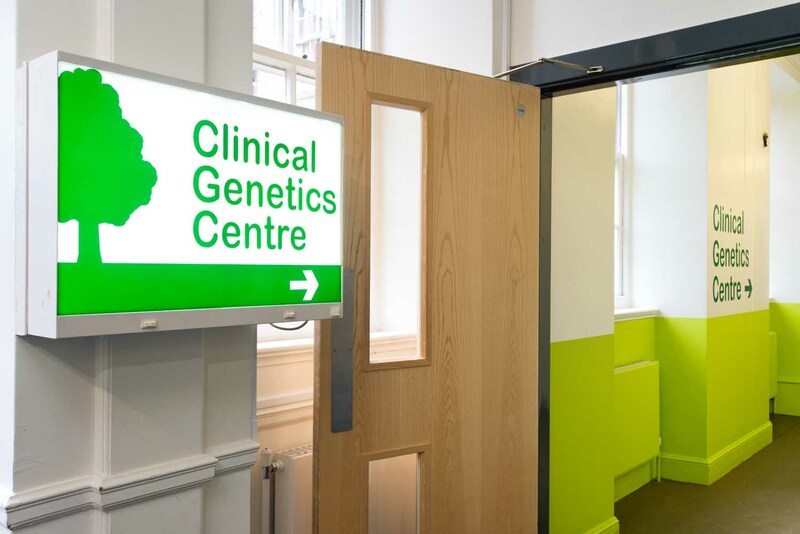 From the initial consultation Keiko recognised that a way finding strategy from the main entrance of Ashgrove House to the entrance of the Clinical Genetics Centre was her first priority. 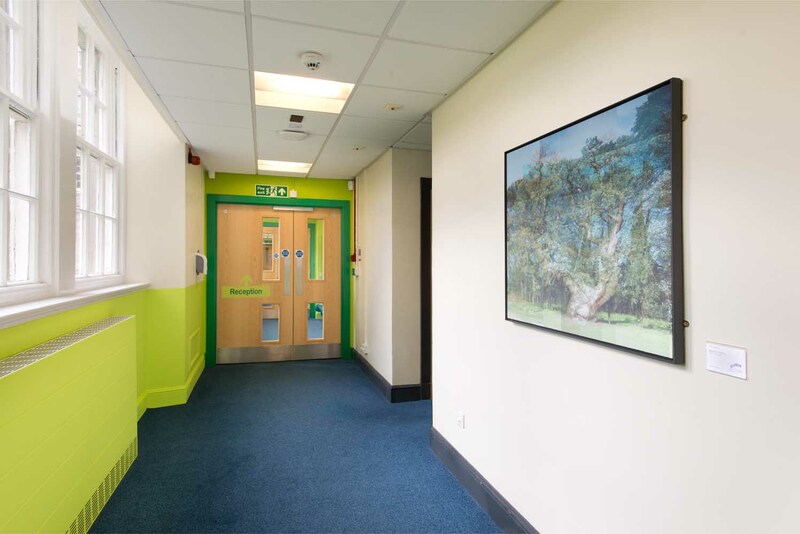 This involved adjusting the signage outside the front of the building, extra signage in the main entrance corridor leading to the department, and the installation of a new security system in order for the patients to access the department easily. 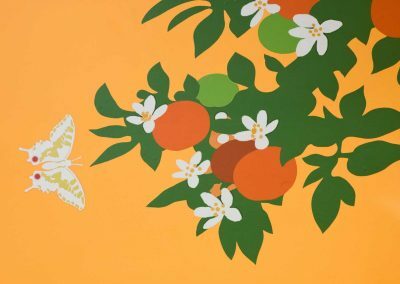 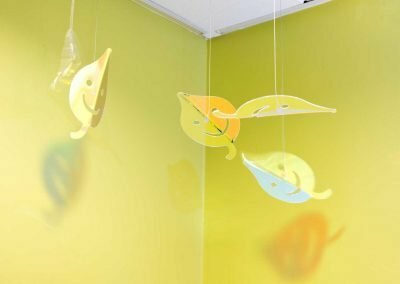 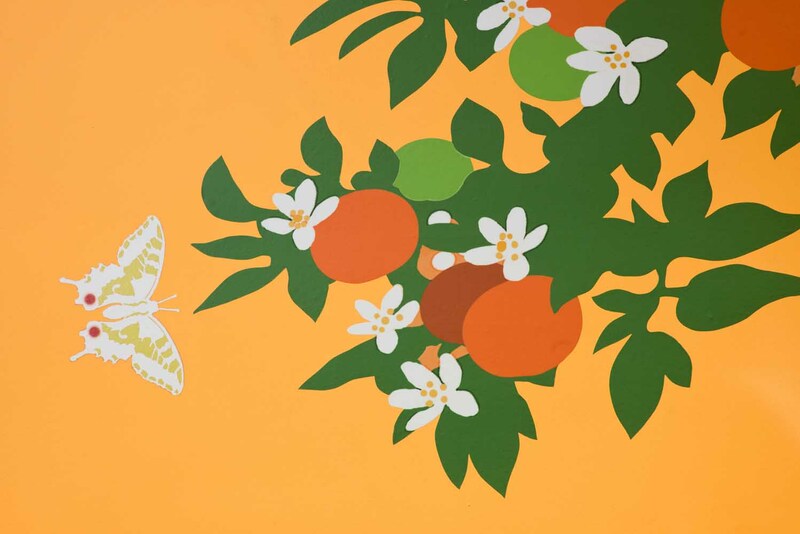 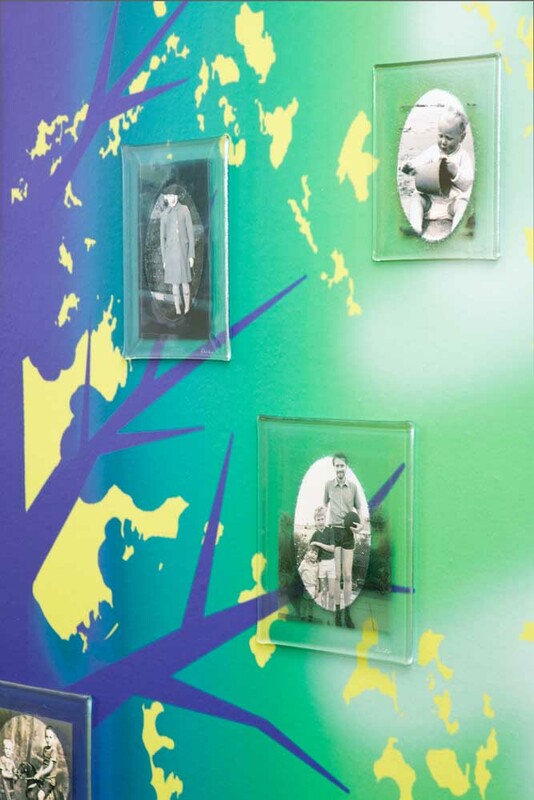 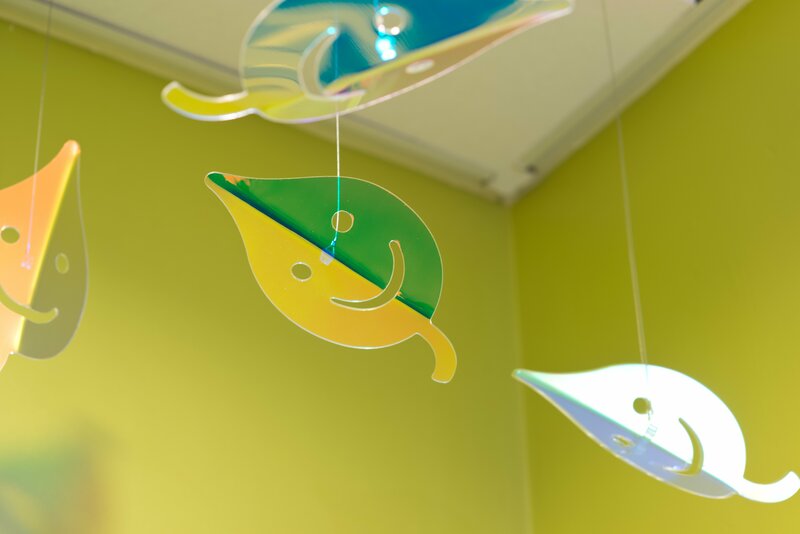 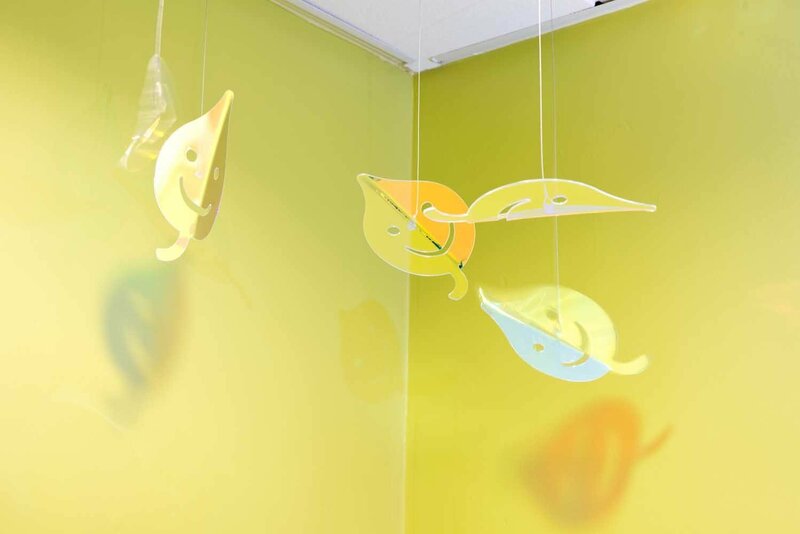 Keiko design’s for the department were inspired by the importance of family, which was the direct result of the consultation with staff, visitors and children. 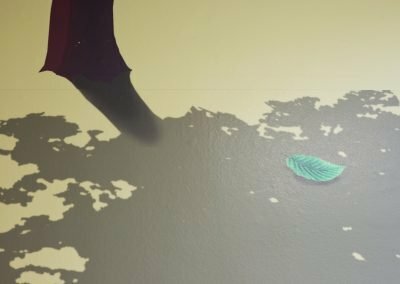 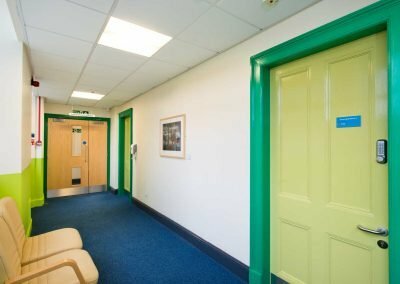 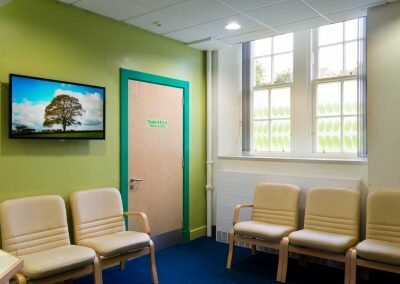 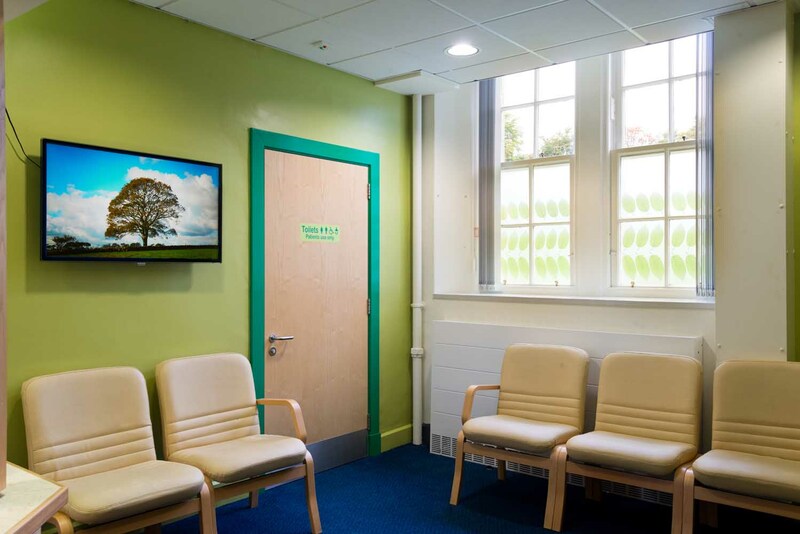 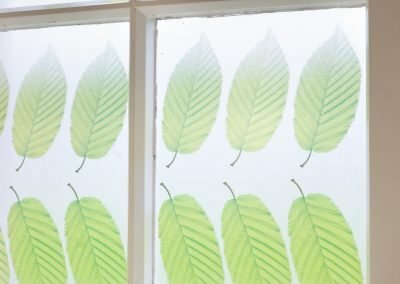 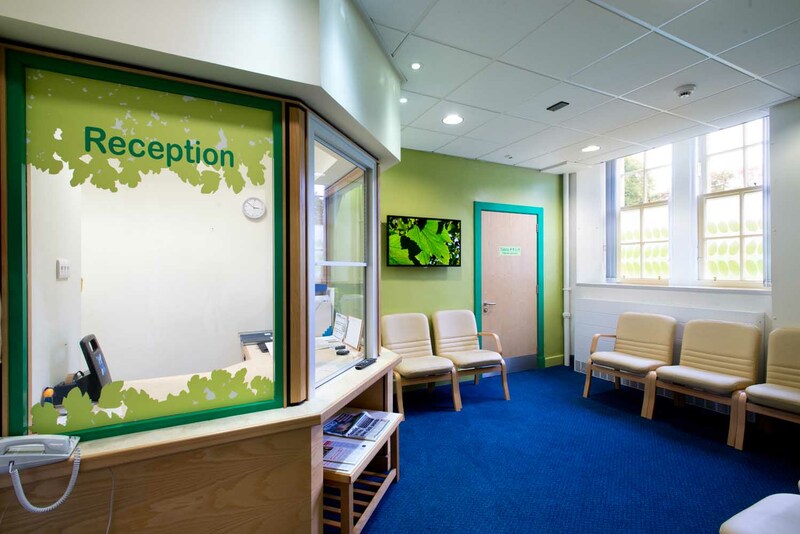 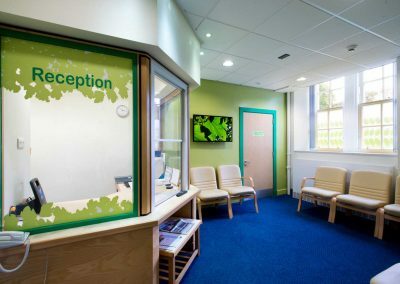 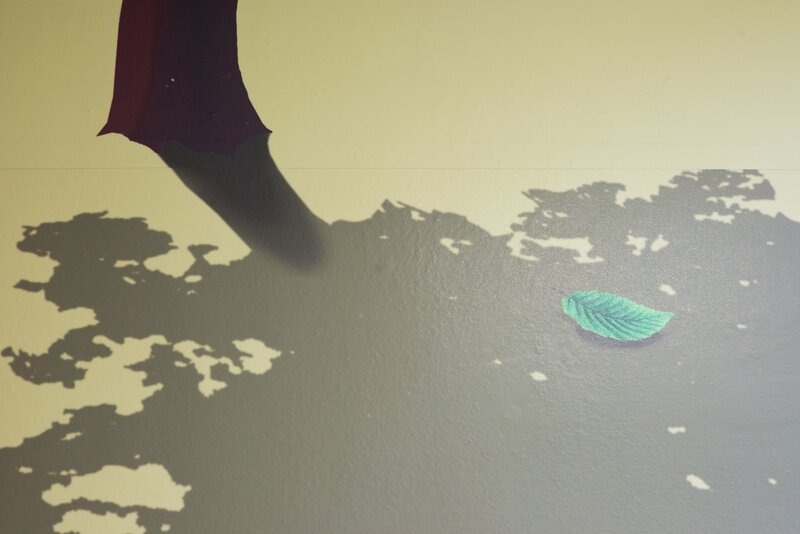 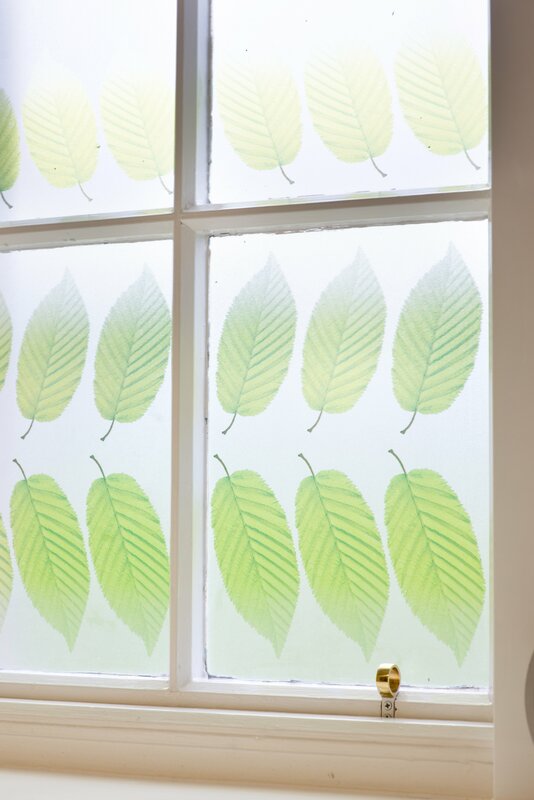 Through the use of digital printed vinyl, vinyl text, photography, reflective surfaces and colour Keiko has created a different atmosphere for all 5 consulting rooms, 2 examination rooms and the main reception area. 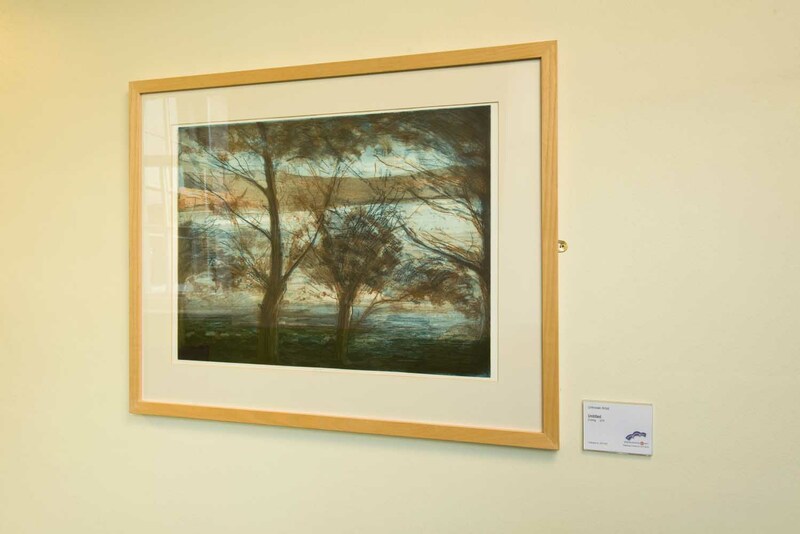 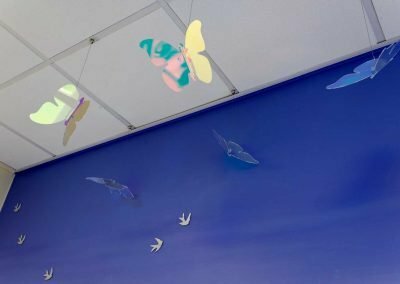 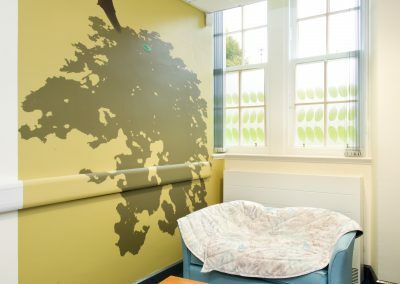 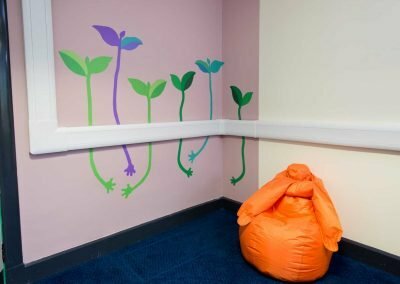 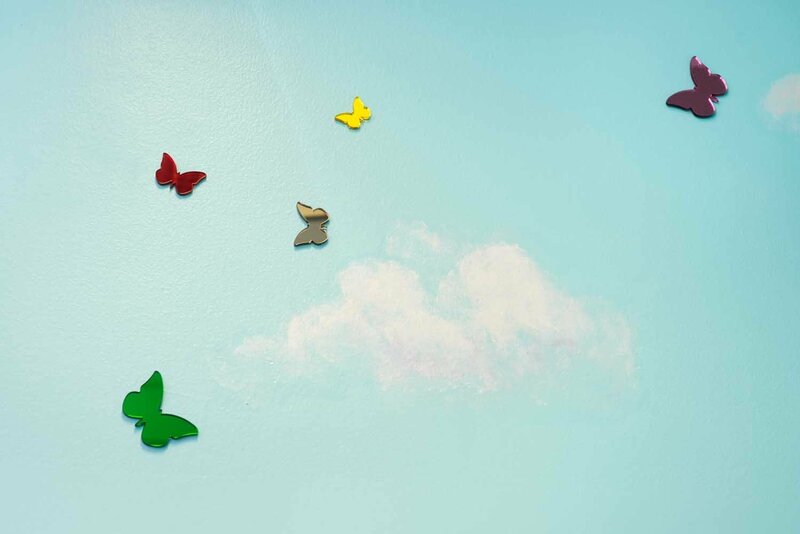 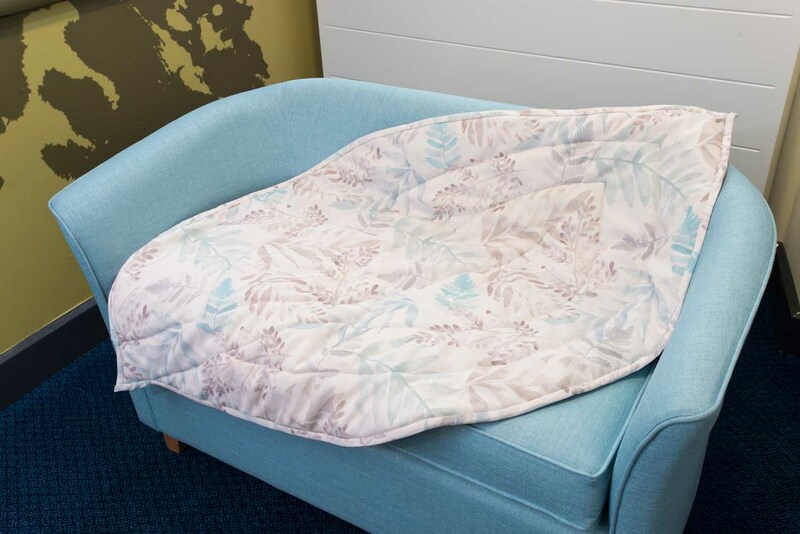 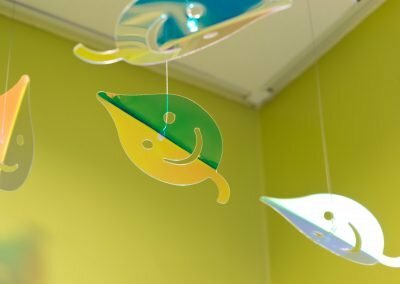 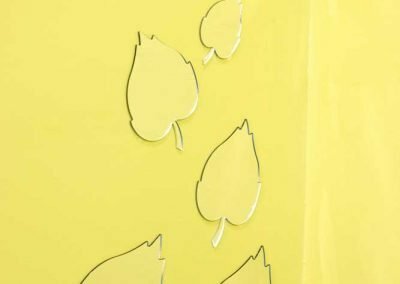 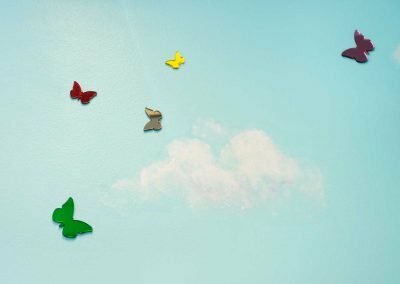 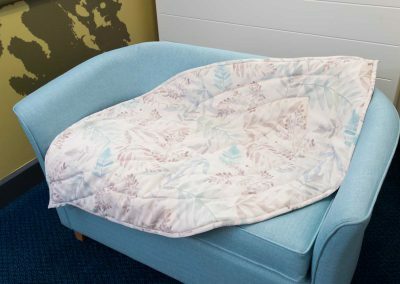 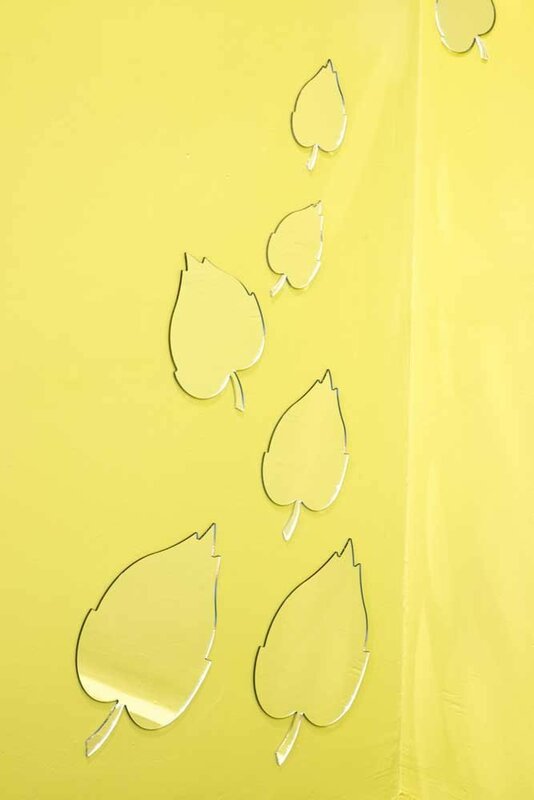 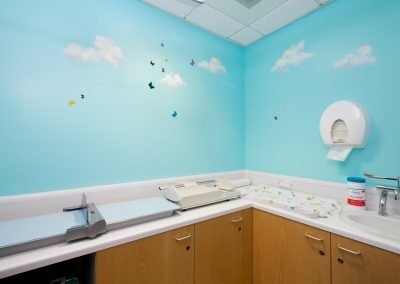 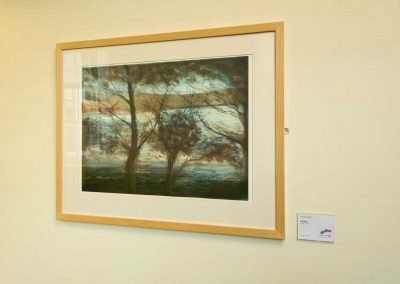 Keiko worked with a photographer to create a moving image in the waiting room in order to create a calming diversion for the patients, a textile artist to create a bespoke beanbag for Rm 4, specifically for children to use, and leaf covering for a couch in Rm 3. 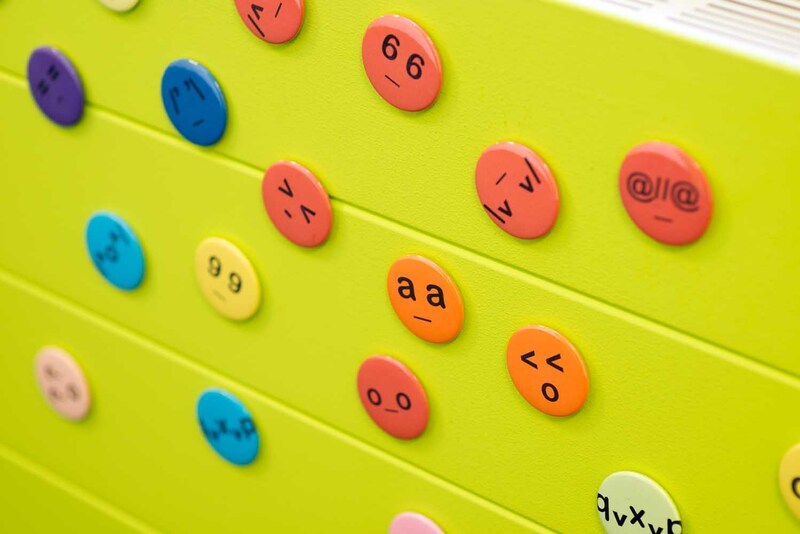 Emoticon magnetic icons were made in order for children to use as a way of communicating with staff and family, and to have some fun. 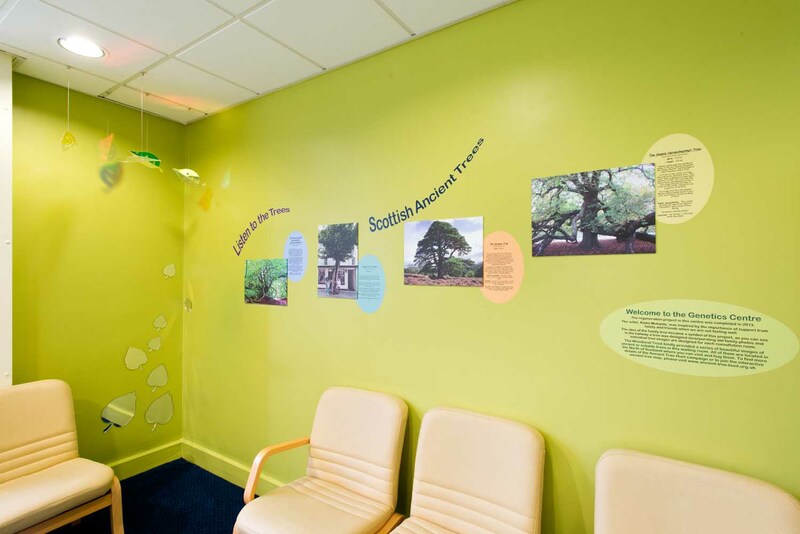 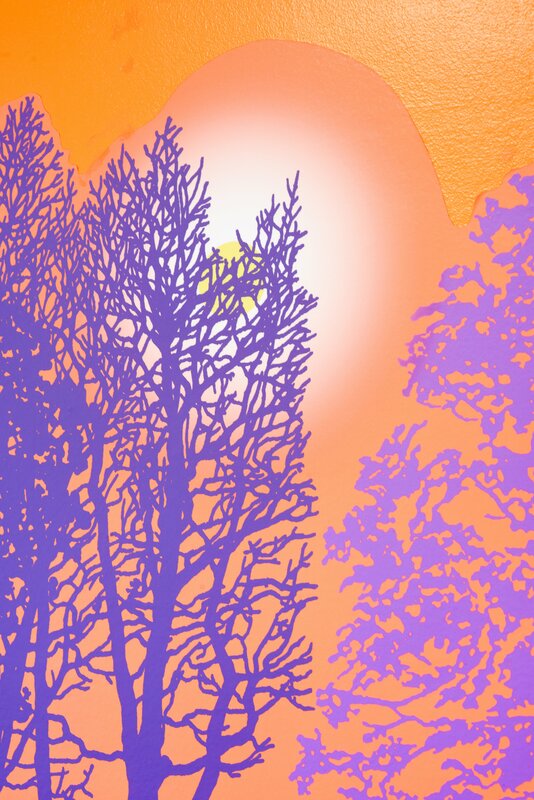 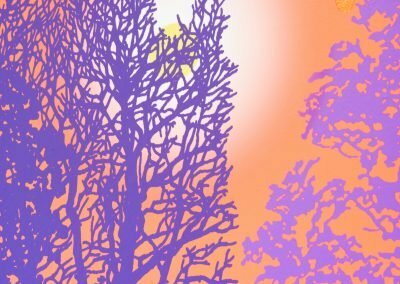 Keiko also worked with the The Woodland Trust, who provided her with images and information on ancient trees in the North East from which she created an informative and fun Tree Hunt encouraging people to find the trees. 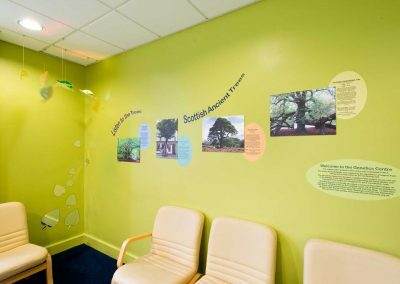 The project was funded by The ARCHIE Foundation.